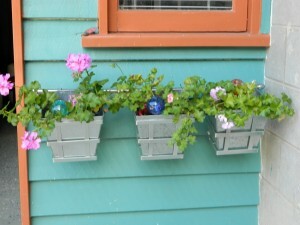 Here is a different take on the traditional window box. I have installed a towel rail and then hung some aluminium planters from that. These sit out and away from the weather boards. You don’t want to encourage timber rot. 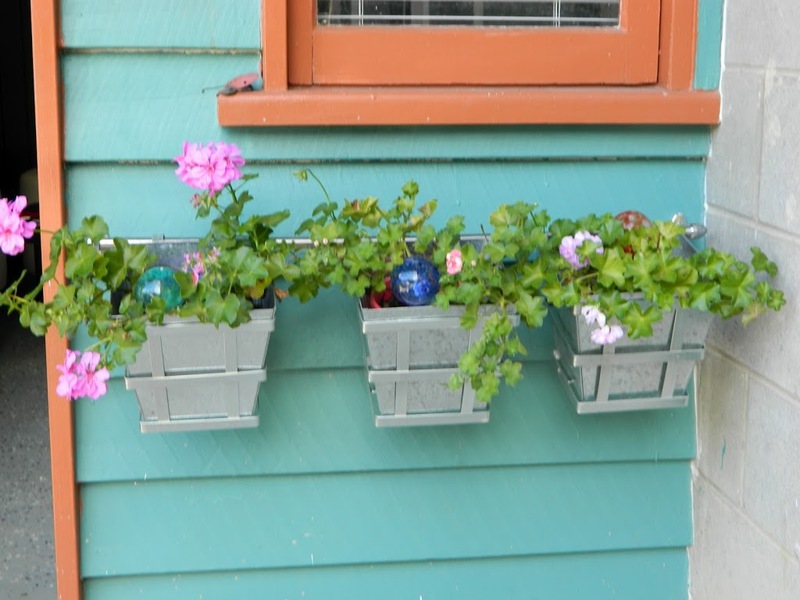 Plant up with geraniums and insert some glass water globes to provide colour when there are no blossoms.